HOUSTON - Houston Texans wide receiver DeAndre Hopkins says he will donate his football playoff check to the family of Jazmine Barnes. Hopkins posted to Twitter Thursday morning saying he's pledging his check to help the family with funeral costs and to support local law enforcement in finding the suspect in the case. Seven-year-old Jazmine was shot and killed in a seemingly random attack while riding inside a vehicle with her family on Sunday, Dec. 30, 2018. Hall of Famer Shaquille O'Neal and HPD Officer Kenneth Miles have also partnered to pay for Jazmine's funeral. Jazmine's mom told KHOU 11 News she did not know about Shaq and Officer Miles' offer. 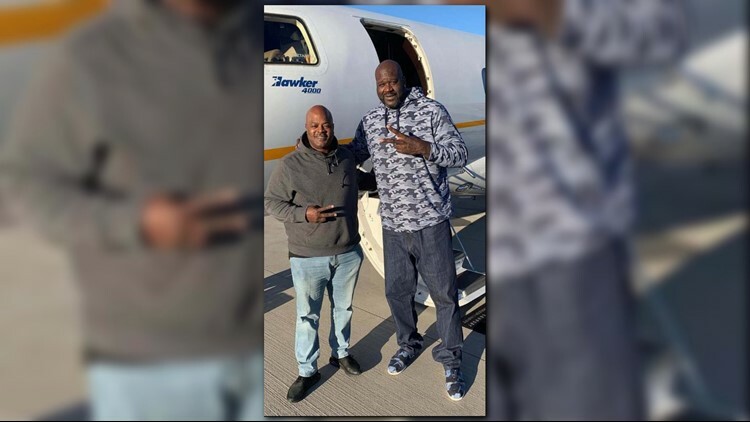 Hall of Famer Shaquille O'Neal and HPD Officer Kenneth Miles have also partnered to pay for Jazmine's funeral. Deputies say a man drove up next to the family's car and opened fire, killing Jazmine and injuring her mother and sisters. Activists have raised a $100,000 reward for information leading to his arrest. Hopkins explained to the media Thursday afternoon that he felt it was necessary to give back, coming from a background of not having a lot of money as a child. Hopkins is also the father of a 5-year-old girl and said it could have been anyone who found themselves in that position. "It won't bring back a person, so I'm not trying to make it all about me or anything like that. But the least I could do was help out," Hopkins said. "Where I come from, I wasn't blessed with a lot of things. So, my mom and myself, we always said once we get to where we want to get to, we're always going to give back. And that's the mission we try to live by." Why so little surveillance video of suspect who killed Jazmine Barnes?